Donate | Family Preservation Alliance Uganda FAMILY PRESERVATION ALLIANCE - UGANDA | YOU MAKE ALL THE DIFFERENCE! Individual Monthly Student Sponsorship option. Are you sponsoring a specific child, please indicate his/her name or corresponding ID. 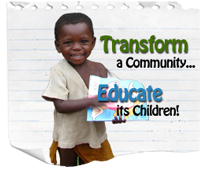 Donate 100% - Add 3% so that 100% of the donation goes to FAMILY PRESERVATION ALLIANCE - UGANDA . FAMILY PRESERVATION ALLIANCE - UGANDA has partnered with Network for Good to securely process your online credit card payment via Network for Good (tax ID 68-0480736). This transaction will appear on your credit card statement as "Network for Good." This transaction is subject to Network for Good’s Privacy, Security & Disclosure Statement and the Charitable Solicitation Disclosure.